Buckdog: Will The Canadian Broadcasting Corporation Please Explain Why A Blatant Racist (and unfettered free market pig) Is Paid To Voice His Vile World View On Your Network? Will The Canadian Broadcasting Corporation Please Explain Why A Blatant Racist (and unfettered free market pig) Is Paid To Voice His Vile World View On Your Network? 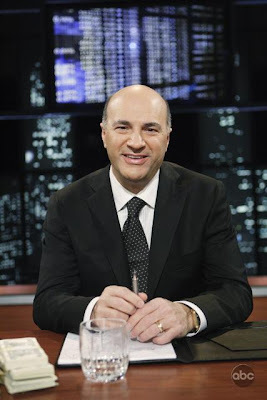 "The CBC's Ombudsman has blasted businessman and commentator Kevin O'Leary for using the term ''Indian giver'' on his CBC News Network show, denouncing the term as "unambiguously offensive." The executive producer for the show, The Lang & O'Leary Exchange, has apologized directly to Alex Jamieson, an aboriginal man who complained, but Mr. O'Leary is a contract commentator and cannot be forced to express regret, ombudsman Kirk LaPointe writes in the report, published last week. Mr. O'Leary, known for his brash, provocative commentary, heads up global investment firm O'Leary Funds. He cancelled an interview with the National Post Monday because, according to his assistant, he was ''advised'' not to speak publicly about the issue. On Monday, the CBC was looking at making an on-air apology for the comment and has yet to speak with Mr. O'Leary about potentially doing the same, according to spokesperson Jeff Keay." "In the heat of a debate over the privatization of potash in Saskatchewan, I used an inappropriate phrase. As the CBC's independent ombudsman pointed out ... the phrase was offensive and inappropriate. I agree. I withdraw the remark and apologize to those who were offended." He gives all people named Kevin, and all people named O'Leary, as well as bald men everywhere a bad name! A class-A arrogant jerk of the highest order I cannot watch him on the tube for even one second before nausea and dark violent thoughts set in - he is vermin. That cretin epitomizes all that is wrong with our society. The sight of him literally makes me nauseous and is the reason why I no longer start my day with CBC news. I couldn't agree more Fat Arse and as well Kev. I make no apologies for using the word pig in connection with this vile human. The CBC has been consistantly dumbing down its news shows (the "at issue panel" for example). It's only copying the other news networks in this regard, but the CBC had more choices. The reason why this shallow crap is proliferating everywhere is because it is cheaper than interviewing actual experts, location reporting, or investigative reporting. The CBC shouldn't need to be so shamelessly chasing ratings.